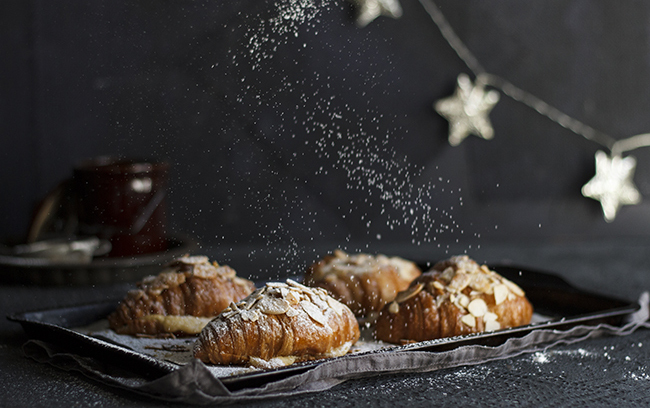 A buttery shortcrust pastry filled with homemade fruit mince and topped with a chewy coconut meringue – introducing the South African Mince Pie Hertzoggie! Mince pie hertzoggies are the mince pies we should’ve had here in South Africa. At least that’s what I think! Every Christmas I take it as my duty to put a South African spin on some very European traditions that we’ve adopted. I’ve made this No-Bake Christmas Pudding which is actually a fridge cake in disguise, these Gingerbread Beach Huts which look like the colourful Muizenberg huts and this Milk Tart Eclair Trifle with Pinotage Jelly and Naartjie Caramel. Christmas isn’t Christmas without a Christmas pudding, a gingerbread house, trifle or mince pies. But at least we can make it our own, right?! 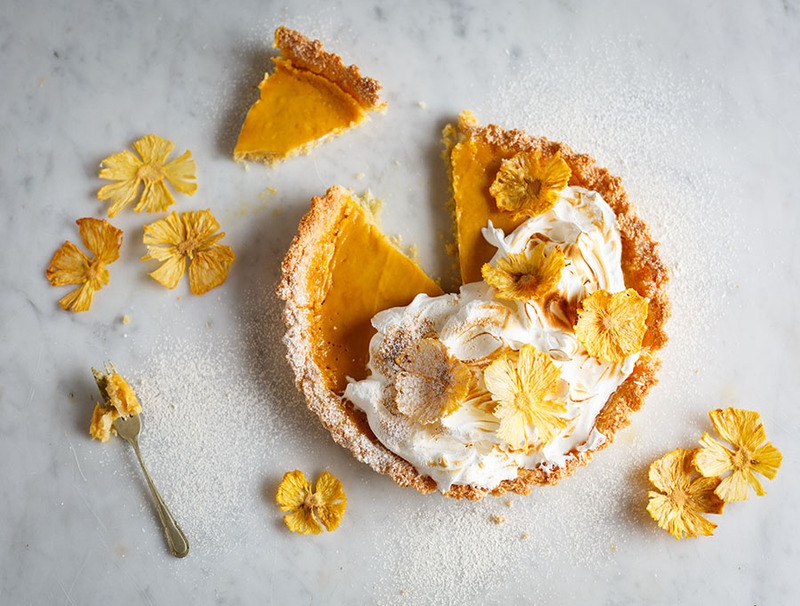 If you don’t know what a hertzoggie is, it’s a local South African tart filled with jam (usually apricot) and finished with a chewy coconut meringue topping. They are sweet, buttery and incredibly moreish! So instead of the usual jam filling, I filled my mince pie hertzoggies with fruit mince. But not just any fruit mince. I used Food Lover’s Market’s Luxury Festive Cake Mix as the base of my very own homemade fruit mince. It’s so easy to make you’ll wonder why you’ve been buying the horrid bottled stuff all along. If you’re not a fruit mince fan, then it’s only because you probably haven’t tasted the good stuff. It’s so easy to make and delicious – especially if you use a really excellent quality fruit cake mix. The Red Bucket has been around for 23 years for a reason. It is loaded with dried fruit and has nuts and chopped glazed fruit already in it so it’s packed with flavour and half the work has already been done. At R69.99 for 1kg it’s also really affordable. If you’re more of a Christmas cake person, check out the indulgent Chocolate Mousse Fruit Cake I made for Food Lover’s Market last year that was a total hit! 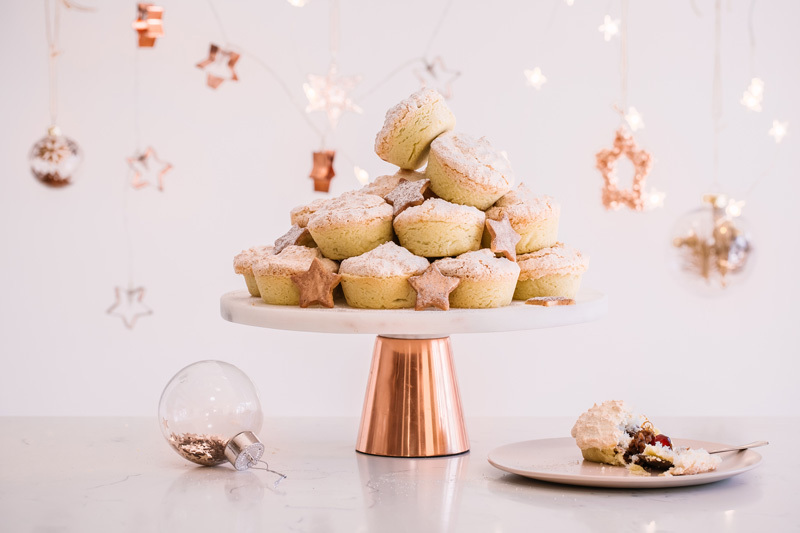 The South African jam tart topped with coconut meringue gets a festive Christmas spin and is filled with a homemade fruit mince. Preheat the oven to 150 degrees celsius with a large metal baking tray on the middle rack. Grease 2 x 12-hole muffin tins. To make the fruit mince, heat the orange juice and brown sugar until dissolved. Add all ingredients except the brandy and cook for 40 minutes until the liquid has been absorbed. Stir in the brandy and allow to cool. 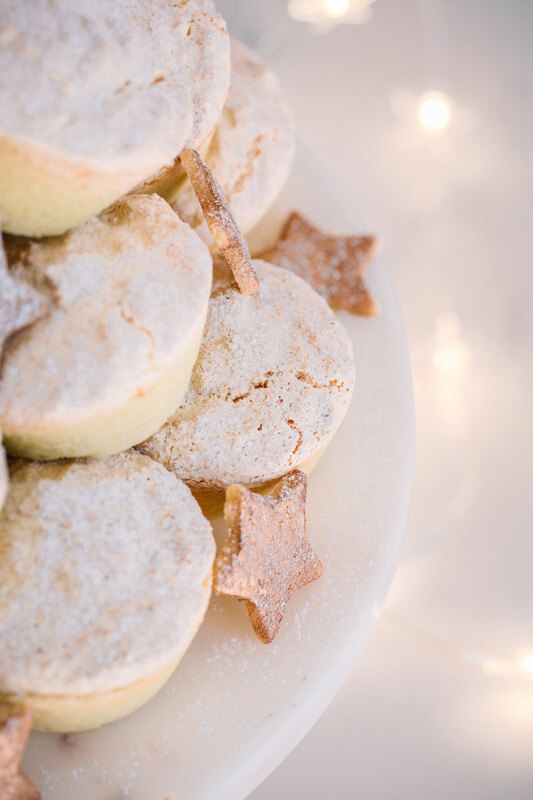 To make the pastry, combine dry ingredients in a mixer and gradually add the butter until the shortbread comes together. Dust a surface with flour and roll the pastry out to 5mm thick. Cut out rounds big enough to line your muffin tin. 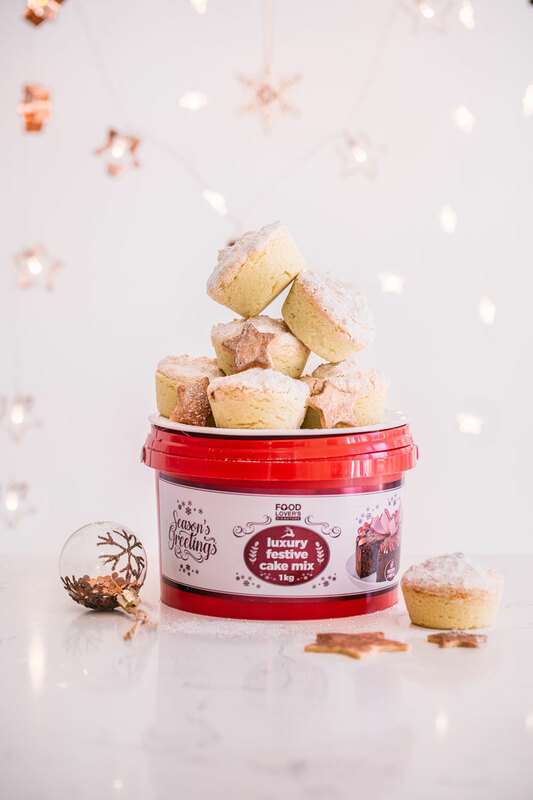 Place a spoonful of the fruit mince into each pastry cup. Whisk the egg whites until soft peak stage then beat in the castor sugar until thick and glossy. Fold in the coconut. 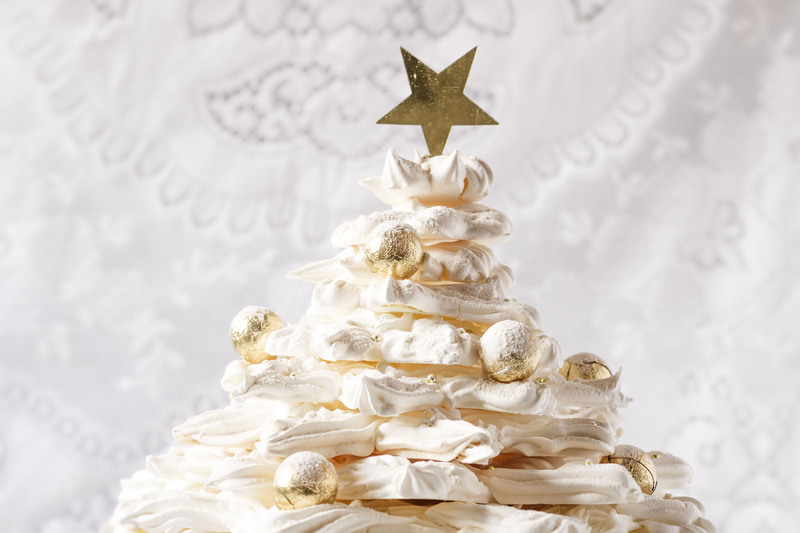 Place in a piping bag and pipe meringue to cover the top of the fruit mince. Bake in the preheated oven on top of the preheated baking tray for 20 minutes or until golden brown. Allow to cool in the tin before removing and dusting with icing sugar. 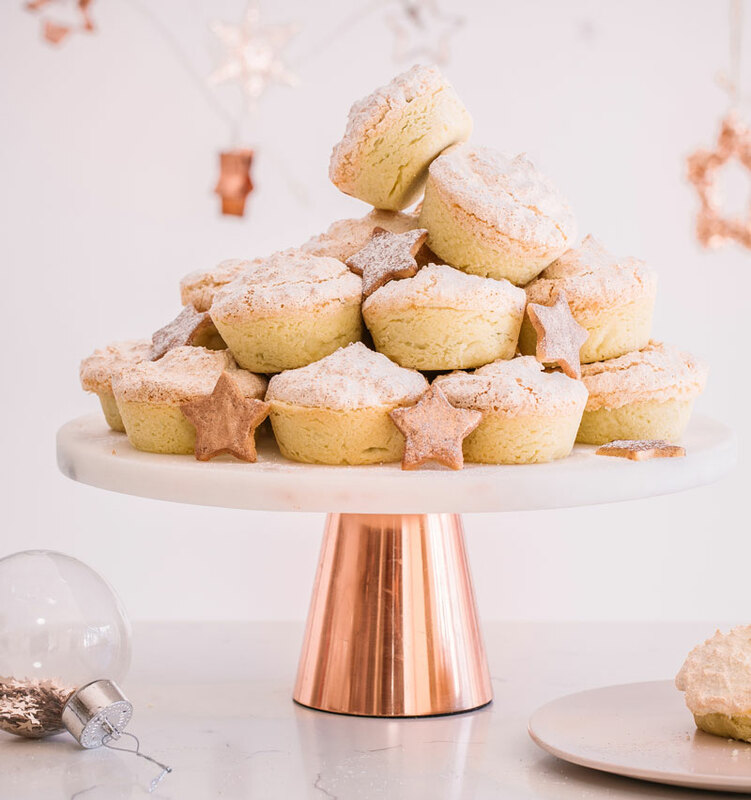 Pile the hertzoggies high on a cake stand and decorate with spun sugar and sparklers. 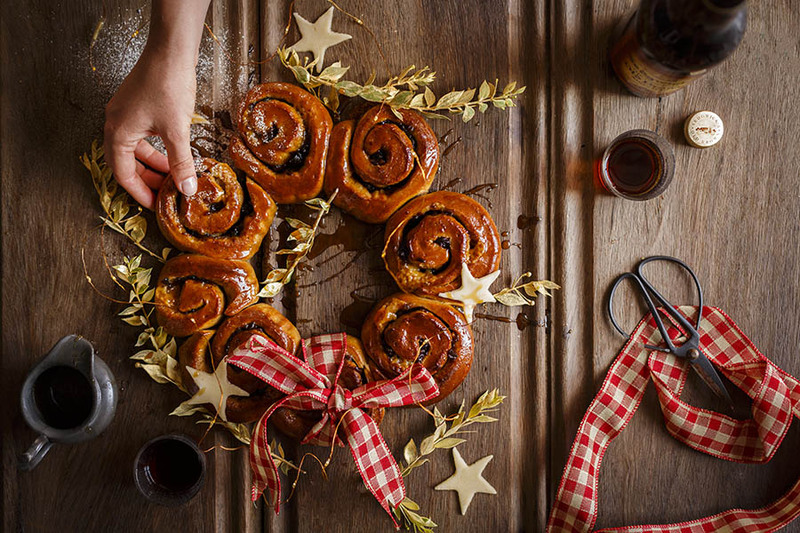 Roll out the leftover pastry and cut out stars. 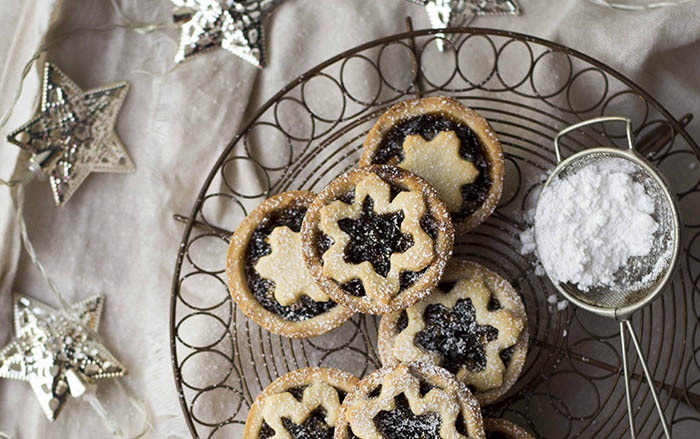 Bake them and use to decorate your tower of mince pies.